Abraham J. Peck is the director and Visiting Professor of Holocaust, Genocide and Human Rights Studies at the University of Maine at Augusta. Until 2008 he was the director of the Academic Council for Christian, Jewish and Islamic Studies and Adjunct Research Professor of history at the University of Southern Maine, Portland. Peck spent more than two decades in directorial positions with the American Jewish Archives in Cincinnati and the American Jewish Historical Society in New York, the two leading institutions on American Jewish life and history as well as the director of Holocaust Museum Houston. He is the author or editor of fourteen scholarly volumes and more than 30 scholarly articles. His most recent books are (co-edited with Michael Berenbaum) entitled The Holocaust and History, published in 1998, and issued as a paperback edition in the spring of 2002 by the University of Indiana Press. Our Zero Hour: Germans and Jews after 1945: Family History, Holocaust and New Beginnings (published in German and co-authored with Gottfried Wagner, Fall 2006) and Maine’s Jewish Heritage (co-authored with Jean M. Peck, Arcadia Publishing, 2007). He is a former advisor to Elie Wiesel, the first chair of the United States Memorial Holocaust Museum and vice-chair of its committee on archives and library. He is also a former vice-president of the international Association of Holocaust Organizations. He is the son of two Holocaust survivors who survived the Lodz Poland ghetto and the concentration camps of Auschwitz, Stutthof, Buchenwald and Theresienstadt. He was born in a Displaced Persons’ camp in Landsberg, Germany, the city where Adolf Hitler wrote Mein Kampf. 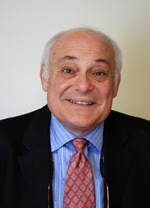 For more than two decades, Professor Peck has been actively involved in numerous programs devoted to meaningful dialogue and creative social action programs between members of the American and international Jewish communities and members of the Christian, African American, German and Polish communities. In 1981, he organized a scholarly program entitled “Jews and Christians after the Holocaust,” hosted by the Hebrew Union College-Jewish Institute of Religion in Cincinnati, Ohio. The program featured a dialogue, for the first time in history, between seminarians from Protestant, Catholic and Jewish institutions. The program was highlighted in a CBS special narrated by Douglas Edwards and a volume of essays, edited by Professor Peck, and published by Fortress Press with a foreword by Elie Wiesel. In 1991, Abraham J. Peck co-founded the Post-Holocaust Dialogue Group with Dr. Gottfried Wagner, the great grandson of the German composer Richard Wagner. The organization seeks to convert the inherited legacies of sons and daughters of Holocaust survivors and sons and daughters of German perpetrators into a forum for intragenerational dialogue and social action. The dialogue between Abraham Peck and Gottfried Wagner has recently been highlighted in a published book entitled Second Generation Voices: Reflections by Children of Holocaust Survivors and Perpetrators(Syracuse University Press). Abraham Peck is also a founding member of the Greater Cincinnati Interfaith Holocaust Foundation and serves as a board member of the National Catholic Center for Holocaust Education, the Transatlantic Christian-Jewish Dialogue and Action, and the Maine Holocaust Human Rights Center. In May 2003, Peck received the prestigious Jefferson Award for Cultural Diversity. He is married to the former Jean Marcus, a native of Portland, an author and editor, and has two grown children, Abby and Joel.